Often we think of marriage as just the joining of two people. In reality, however, marriage is much broader. This is even more apparent when brides and/or grooms have children. 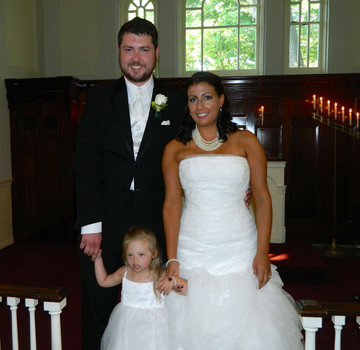 With children present, the marriage also becomes the proclaiming of a new family. 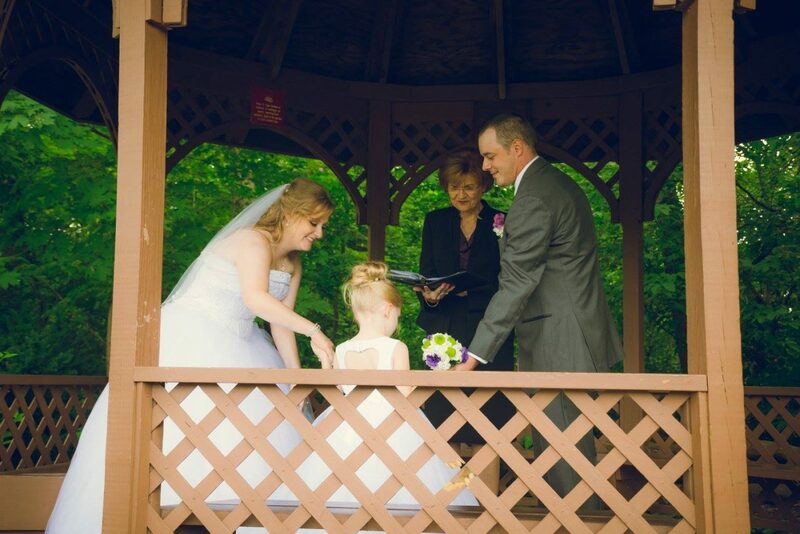 Including the children in your wedding ceremony makes it even more meaningful not only to you, as the couple being married, but also to your children. 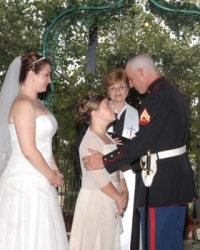 After the exchange of vows, the children are invited for a special unity ceremony. In the medallion ceremony, the child (or children) are presented with a special Family Medallion® symbolizing the creation of the new family. 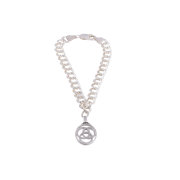 The Family Medallion® was created to assist with this need for ‘family weddings’ and to provide resources for supporting family commitments. 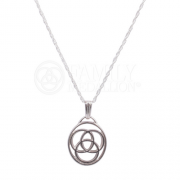 The Family Medallion® provides a message of love and affirmation. Meaningful words are exchanged between the new step-parent and each child. If there are children on both sides, they may also exchange words accepting each other as siblings. 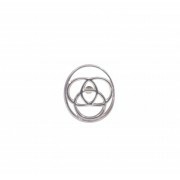 The special Family Medallion® jewelry has a significant design of three entwined circles, representing the creation of a family and to signify love’s willingness to include others. 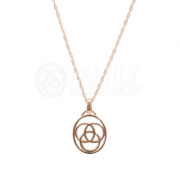 Click here to read more about this powerful family symbol. If you’re interested in learning more information, contact us using the form below and indicate your interest in The Family Medallion®. 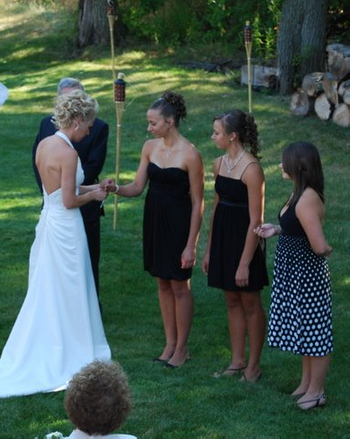 This ceremony uses a script similar to the Family Medallion® ceremony. Meaningful words are exchanged between the new step-parent and the child. If there are children on both sides, they also exchange words, accepting each other as brothers and sisters. Each child may be presented with a special gift, if desired. 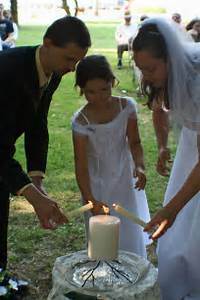 During this ceremony, each child is presented with a smaller youth-size taper candle and together, the couple, and the child (or children) light a family unity candle. 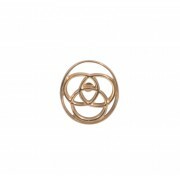 This symbolizes the uniting and creating of a new family. 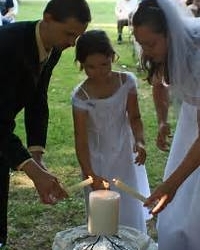 Because of the candle flame, the age and safety of each child should be considered. In this meaningful ceremony the couple, and the child (or children) pour their own color choice of sand in a family unity container symbolizing the uniting and creation of the family. In the case where there are children from both parents, this also represents the ‘blending’ of families. 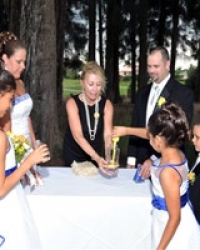 What fun the children will have and how special they will feel, picking their own colors of sand, adding a bit of their personalities to the ceremony. 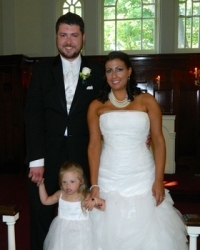 This ceremony is a nice way to include children in the ceremony, especially the very young. 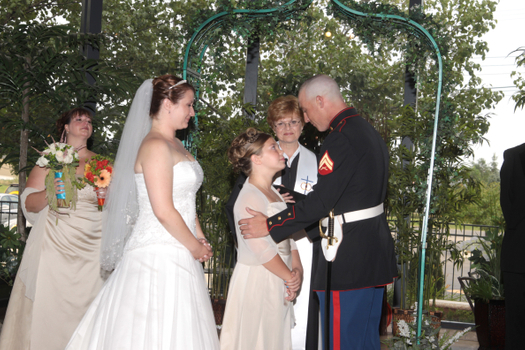 Towards the end of the ceremony, the hands of the wedding couple are loosely tied together by their child (or children) with a soft ribbon signifying happiness and blessings of the marriage of their parent. Even if the child doesn’t know how to tie a bow, the ribbon can be wrapped around the wrists instead.